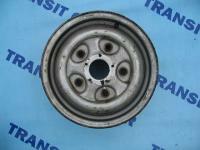 Ford Transit MK4 wheels and rims include car parts like hubcap and wheel nuts for Transit MK4. 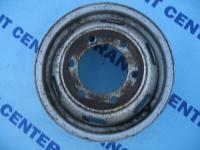 Ford Transit MK4 wheels and rims include car parts like hubcap and wheel nuts for Transit MK4. In this department you may find the basic exploitative elements like for example the wheels, the rims and even the wheel nut . It is true that three years of production is quite short period, but the popularity of this car makes our roads are still a lot of copies of fourth generation Transit vans. Of course, progress indicator which is only 100,000 kilometers are often the cause even five times to scroll to the odometer. There are even mileage in excess of 500,000 kilometers traveled in difficult conditions. The side roads, the urban narrow lanes, the high curbs and the holes route – this everything influence the wheel condition, the rims and others elements. In our online offer is possible to find such components as the caps for different types of wheels, for example, for Ford Transit from 1993. There are also the caps and the screw covers. Of course, everyone may find the proper wheels and the rims, but if something is missing, we honestly encourage to contact with us by e-mail.